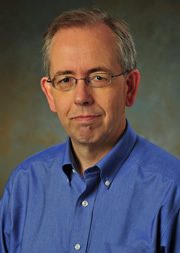 Professor Groenevelt has been a consultant on operations management and data analysis issues for numerous manufacturing and service organizations (including hospitals and other health care providers), as well as the city of Amsterdam, the Netherlands. Proessor Groenevelt has interests in health care operations, logistics and supply chain management (including reverse logistics); service system management and design; quality management and analytics. A Case Study: Can RFID Help Reduce Costs in Medical Imaging? We develop and analyze several models to predict the result of a soccer match while the match is in progress. The model is calibrated using betting odds. A large database of matches is used to test and compare the matches. We investigate the dynamics of the introduction of new product generations in a duopoly. Firms can choose the amount of new technology to introduce in each generation, and compete for multiple customer segments. We analyze a variety of scenarios and try to obtain deeper insights into this form of competition. Many firms operating in developed markets have moved a significant part of their manufacturing activities offshore, and are therefore subject to exchange rate risks. To eliminate or reduce these risks, firms utilize both real and financial hedging strategies. We investigate the relationship between different hedging strategies in a number of settings using a newsvendor-type model with several sourcing options available to the firm.